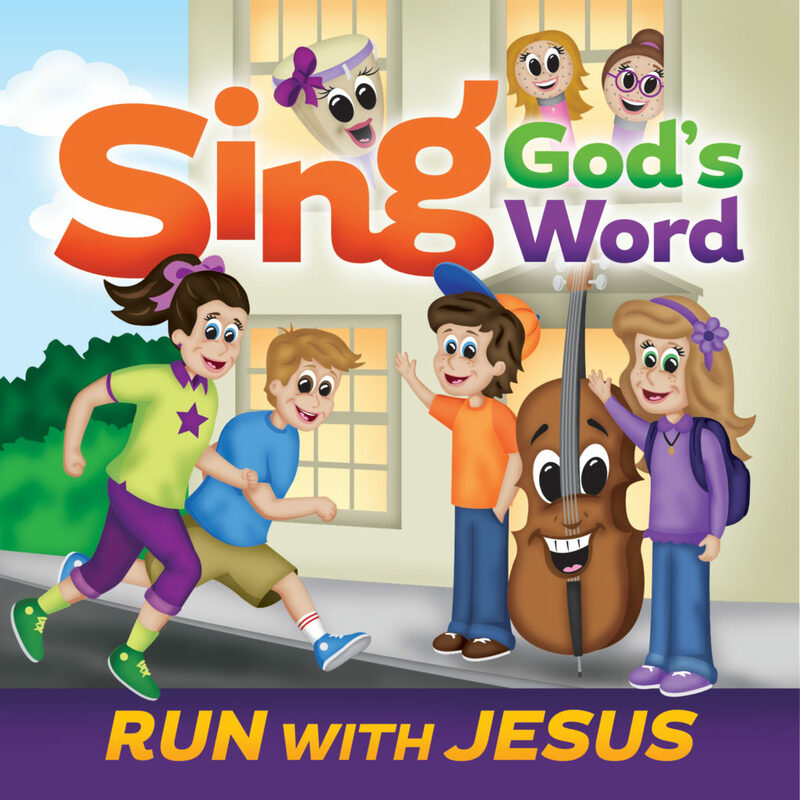 Sing God's Word - Run with Jesus is our third CD. The songs and story line are from New Testament scriptures and provide over an hour of entertainment. Follow the adventures of Anthony, Kori, Matt Cello (M.C.) and many more musical friends from Symphony City. The story introduces Daniel Williams (Anthony's cousin) who has lost his confidence to run in the Libertyville town race. By the end of the story line he realizes that Jesus is with him in his everyday life and gains the confidence he needs to "Run with Jesus." The download links for the MP3 files, the Coloring Pages, and the Lyric Sheets are included with this purchase. The specific links will be sent to you by email once your purchase is complete. Tax and shipping and handling do not apply on download products.